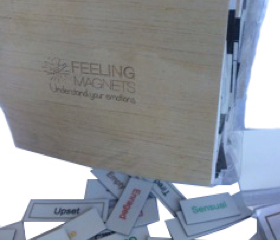 By looking through all of the emotions I put up in my Feeling Magnets box, I find it a lot easier to clear my mind and find ways to work on myself to become more and more happy. I loved the idea of these! I suffer from Anxiety, ranging from subtle to severe, depending on the day. But even just for general people, who don't necessarily suffer from anxiety, this is a great tool. 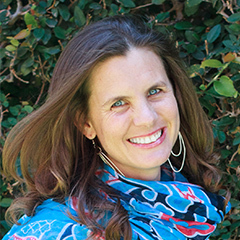 If you would like to master your emotions Feeling Magnets is a tool that can help you along the way. We all have emotions, but we generally don’t pay much attention to them, let alone understand them. Many of us have taken on negative habits when it comes to addressing our emotions – ignoring, suppressing or misinterpreting them. 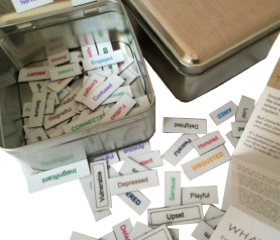 You can also use Feeling Magnets with your friends, family or significant other to better understand them and to see where each of you is. It brings clarity and enhances conversations or discussions you have.